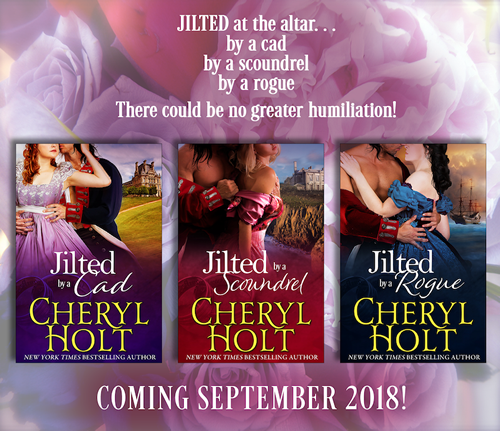 Cheryl Holt Book News & a Contest! 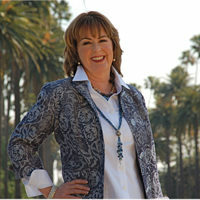 Cheryl Holt is a New York Times, USA Today, and Amazon “Top 100” bestselling author of fifty novels. 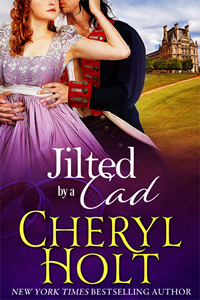 Cheryl is also doing a Rafflecopter giveaway of 10 autographed print copies of Book #1, JILTED BY A CAD! Hi everyone. Thx for logging on today to learn about my Jilted Brides. My new series is coming September 20th, 2018. 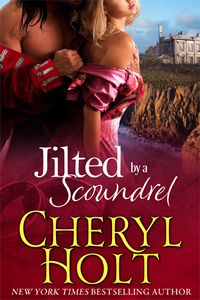 I’m calling it my “Jilted Brides” trilogy. For the past few years, I’ve been writing linked series, where I have a linking theme that runs through all of the novels, and the common thread resolves at the end of the final book. It’s a fun way for me to keep readers excited and guessing as to how it will all conclude. I’ve always been fascinated by tales of brides who are left at the altar, and I decided to use the situation as the linking thread through the three books. In this series, my three heroines have all been jilted, and the terrible event pitches their lives into new and totally unexpected directions. And of course, these new “directions” lead them right into the arms of the heroes. My new series is coming September 20th. 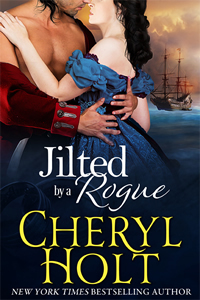 I’m calling it my “Jilted Brides” trilogy. For the past few years, I’ve been writing linked series, where I have a linking theme that runs through all of the novels, and the common thread resolves at the end of the final book. It’s a fun way for me to keep readers excited and guessing as to how it will all conclude.